Transportation construction companies from Virginia, Michigan and Florida were recognized for their outstanding corporate worker safety programs at the 2015 American Road & Transportation Builders Association’s (ARTBA) National Convention in Philadelphia. An awards ceremony took place during a Sept. 30 luncheon. 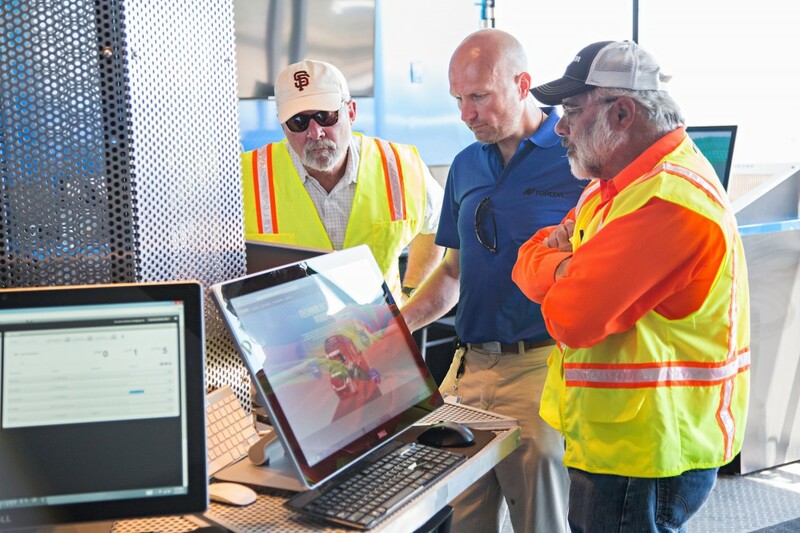 Winning firms were the top honorees of ARTBA’s Transportation Development Foundation’s (TDF) annual “Contractor Safety Awards,” a program developed to promote worker safety and health as core values of the transportation design and construction industry. Award winners demonstrated a low “OSHA Recordable Rate” as measured against benchmark metrics established by the Bureau of Labor Statistics. Published on April 6, 2015 in Construction Digest, Daily Dirt, Michigan Contractor & Builder, Midwest Contractor and Western Builder. Closed Tags: construction, construction industry, contractors, Equipment Corporation of America (ECA). About Equipment Corporation of America: ECA has been a leading supplier of foundation construction equipment in the Eastern United States and Eastern Canada for nearly a century. We are exclusive distributors for BAUER Drills, Klemm Anchor and Micropile Drills, RTG Piling Rigs, Pileco Diesel Pile Hammers, HPSI Vibratory Pile Hammers, Word International Drill Attachments, Dawson Construction Products, and Grizzly Side Grip Vibros. ECA offers sales, rentals, service, and parts from six facilities throughout the Eastern U.S. and Eastern Canadian Provinces. Published on October 15, 2014 in Construction Digest, Daily Dirt, Michigan Contractor & Builder, Midwest Contractor, National, Rocky Mountain Construction, Texas Contractor and Western Builder. Closed Tags: construction, construction industry, contractors, soil, soil stabilization, strata, Strata Systems Inc. 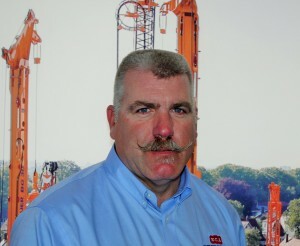 Soil reinforcement product manufacturer and distributor, Strata Systems, Inc., has recently selected Scott Czewski, P.E. as its new Midwest Regional Sales ManagerCzewski joins Strata as part of an initiative to develop new business opportunities in the Midwest, and in Strata’s growing base reinforcement and road infrastructure business, and to manage all of Strata’s existing partners. He’ll service all Midwestern states from Texas, north to the Canadian border and east to Indiana. 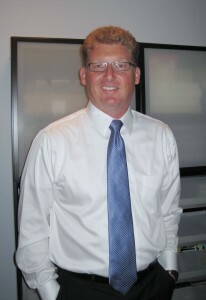 Czewski was selected due to his extensive civil engineering and sales background, which totals more than 15 years. He was previously employed at CSI Geoturf in Michigan as a project consultant where he generated engineering specifications for products, developed concepts and methodologies for cost-effective design and performed internal sales and installation training. Czewski holds a Bachelor of Science in civil engineering from Michigan State University and is a licensed professional engineer. To learn more about Strata Systems, Inc., visit www.geogrid.com. Published on July 22, 2014 in Construction Digest, Daily Dirt, Industry Activities, Michigan Contractor & Builder and Western Builder. Closed Tags: BIM, construction, construction industry, contractors, equipment, GPS machine control, heavy equipment, job training, jobsites, Machine Control, remote jobsites, roadshow, Technology Roadshow, telematics, Topcon. 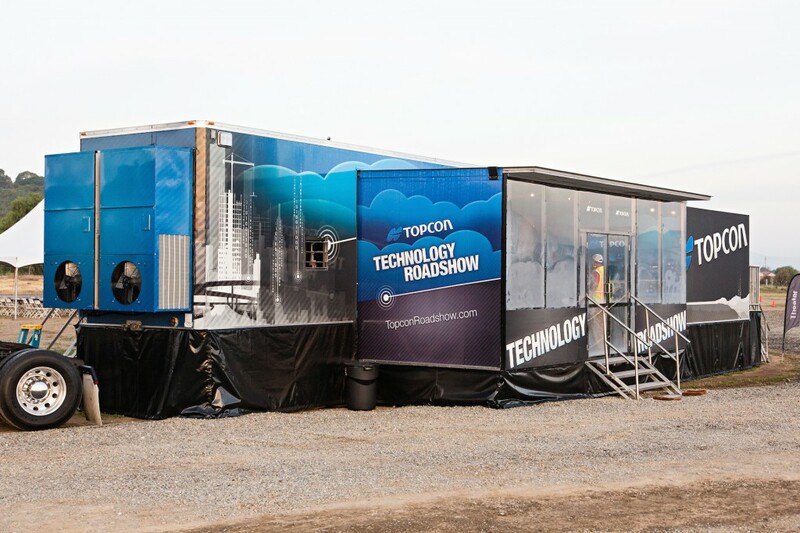 As part of a 24-stop North American tour, the Topcon Technology Roadshow visited Wilmington, Ill., located just south of Joliet—approximately 55 miles from Chicago. The two-day visit—June 25th and 26th—was held on the grounds of the IUOE Local 150 Union Training Center and was hosted by Positioning Solutions Company, Carol Stream, Ill., an authorized Topcon dealer. The Technology Roadshow displays and demonstrations covered the full range of machine automation, Topcon Enterprise Solutions, BIM and 3D layout, Sitelink3D site management, GNSS and robotics, and scanning and mapping. 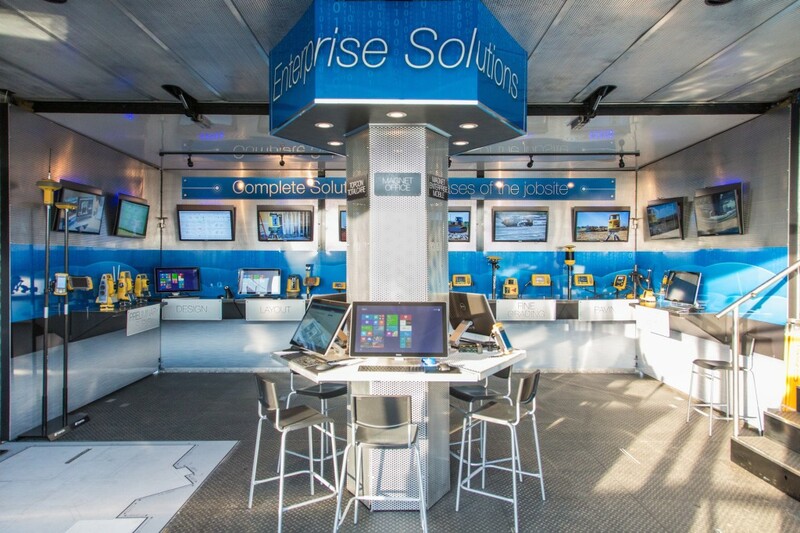 Contractors were able to maximize their time by scheduling their visit at a convenient time and choosing which displays or demos were of interest. 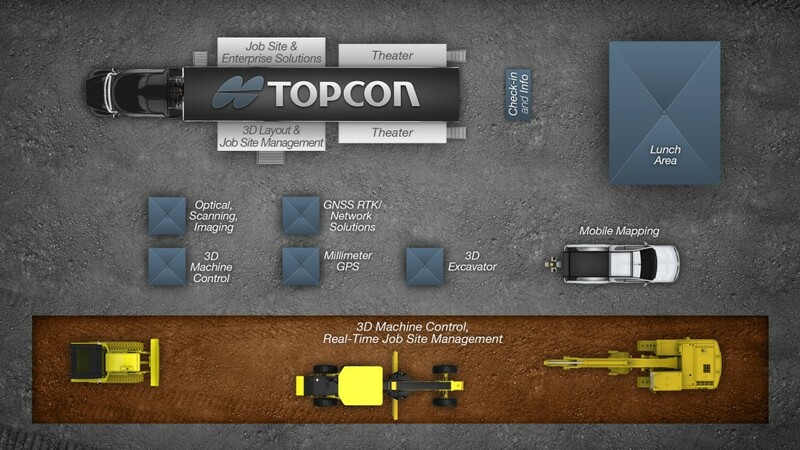 The latest tools and technologies available for the job site and office. The impact of field computer technology on project data and administration. The latest software technologies and the ability to improve business productivity. 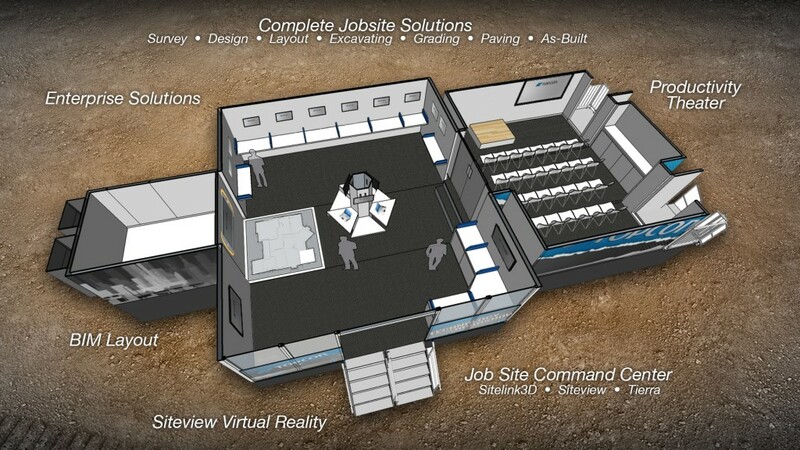 Total job site solutions to fit any size business. During the two-day stop, there were contractors from Illinois and southern Wisconsin.